Welcome to Killer Ink Tattoo, the leading supplier of tattoo equipment and supplies in Europe. We offer an extensive range of top quality tattoo supplies and equipment in our online store, all at the most competitive prices around. Every product we stock is quality checked to ensure that we continue to meet the strictest standards and legal requirements. Killer Ink Tattoo is proud to be the authorised global dealer for Stigma-Rotary® and the main European supplier for Hustle Butter Deluxe® and EGO Rotary. We are also the main European distributors for a number of other high-end tattoo products and brands, including ELECTRUM Stencil Primer, INK-EEZE, Out of Step Books and authorised resellers of Silverback Ink®. We are the main UK dealers for KWADRON, Dermalize, Atomic Ink, Bullets Tattoo Ink, CARBON Black and G Ink. We have carefully chosen all of our tattoo supplies and equipment to ensure that we always offer the best selection around. It doesn’t matter whether you’re looking for tattoo inks, traditional needles, cartridges, machines, grips, tubes, books or piercing supplies, we will have what you need right here. If you’re a tattoo artist that hasn’t had the chance to shop with Killer Ink Tattoo yet, we know that as soon as you place your first order with us, you’ll end up being a customer for life. Make Killer Ink Tattoo your one stop shop for tattoo supplies, equipment and all other related tattoo lifestyle products. If you’re looking for tattoo supplies and equipment, you’ve definitely come to the right place. When it comes to tattoo machines, inks and specialist equipment, we at Killer Ink Tattoo are best placed to assist you. Plus, we also offer free delivery on all UK orders! That’s free next working day delivery by UPS for orders over £25 and free Royal Mail tracked delivery for any orders under £25. Along with that, we promise that all orders completed before 18:00 on a working day will be dispatched the same day via the delivery service requested if you have chosen UPS as your courier. If you have selected Royal Mail as your courier, the cut off for same day dispatch will be 14:00. We are the main dealer for the best rotary and coil tattoo machines on the market, so you can be sure that we will have the ideal tattoo machine to meet your requirements. When new or updated tattoo machines are released by any of the major brands we stock, Killer Ink Tattoo will be among the first to make them available to our loyal artists. Our extensive collection of premium quality tattoo machines are perfect for lining, colouring and shading. With leading brands like Stigma-Rotary®, EGO Rotary, FK Irons, Spektra, and Cheyenne Hawk, along with many more featured on our website, you will find everything you need to create the most awesome tattoos. You can’t get the best out of a tattoo machine without a good power supply though, but we have you covered on that too. We’ve got a whole range of power supplies from the likes of Critical, Bavarian Custom Irons, Cheyenne, and Nemesis, along with high quality clip and RCA cords and foot pedals. The key is in our name – when it comes to tattoo ink, we will not be beaten. We believe that we have the best tattoo ink selection available in the industry, including products from Silverback Ink®, Intenze Ink, Eternal Ink, Fusion Ink, World Famous Ink, Atomic Ink, Cheyenne Ink, G Ink, Kuro Sumi, Panthera, Killer Black Ink, and many more. Our range of tattoo inks cover every shade in the spectrum, so you can shop by colour if you want to make sure you get that killer hue. Our inks are also sorted into categories, so you can easily choose if you want to purchase a complete set, grey washes/tones, blood tones, flesh tones, or a portrait set. It doesn’t matter whether you’re looking for inks for colour tattoos or black and grey work, rest assured that we have it all! It is important for professional tattoo artists to have the right tattoo equipment to hand, and we’re not just talking about machines and inks. At Killer Ink Tattoo, we have everything you could need to ensure that your work gets off to a flawless start. We stock a range of comfortable furniture for both you and your customers, along with ornaments to give a unique look to your studio. When it comes to what products to use before, during and after the tattooing process, we love Hustle Butter Deluxe here at Killer Ink Tattoo. Hustle Butter Deluxe can be used as a moisturizer to prepare skin before a tattoo, as well as a tattoo lubricant during and a premium aftercare product. We also stock ELECTRUM Premium Tattoo Stencil Primer for applying your stencils and Dermalize PRO to protect the tattoo wounds from germs and bacteria after a session. You want something tattoo-related? We’ve got it. We have a great team here at Killer Ink Tattoo with a host of knowledge and experience of the tattoo industry. We are always on hand to answer any queries that you may have regarding the right equipment for you, so don’t hesitate to give us a call! We also have a dedicated team of native-speaking staff to help you with any product queries you may have, or even if you just prefer to place your orders over the phone. Give Killer Ink Tattoo a call and we will be happy to assist! Killer Ink Tattoo is active on all social media platforms, especially Facebook, Instagram, Twitter and Snapchat, and we’re always looking at the next big thing to help connect us to the artists that trust in our service and products. 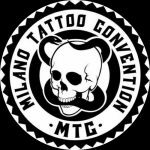 We also have a blog section that is full of information about new products, what conventions we’re attending, our latest videos, competitions, and whatever interesting body art-related stories capture our attention. Speaking of videos, we regularly shoot awesome footage with our sponsored artists, so make sure to keep an eye out for them!